My eldest son started college yesterday. As part of his preparation for this step, I gave him Thriving at College a while back and he’s enjoyed and benefited from reading it. But now that he’s actually started, I see the need for some really down-to-earth, step-by-step practical advice. So I thought I’d run a brief series of posts that contain the kind of tips I wish someone had given me when I started further education. The first tip I’d give new students is to install Dropbox on their computers. Why? Because it’s a free service that automatically stores and backs up your files and pictures in the cloud, making it easy to access them anywhere on any device, share them with anyone, and recover them if accidentally deleted from your computer. That means you’ll never be frustrated that you left files on your computer miles away back at home or in college. You won’t have to email huge files, photos, and videos anymore – simply share files and folders via Dropbox. And you’ll never have that sick feeling in your stomach that your final thesis or project is irrecoverably lost on your crashed hard drive. So what does Dropbox offer in detail? 2 GB Storage: Dropbox offers free cloud storage up to 2 GB, which should be more than enough for most students. Desktop or Online: Dropbox can either be installed on your computer or accessed via your browser. Backup: Documents saved to your Dropbox are automatically saved in the cloud providing you with backup should you lose your files or computer. Syncing: Dropbox syncs your files with any other computer or mobile device running Dropbox. Cross-platform: Dropbox gives you access to all your files via your computer, phone, tablet, or any other computer with internet access. History: Dropbox maintains a one month history of your work so that you can revert to previous versions of documents. 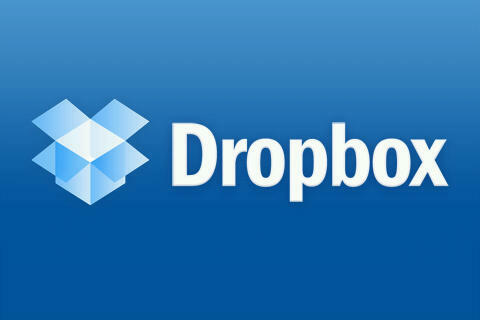 Mobile photos: Dropbox allows you to automatically upload photos and videos to the cloud from your phone or iPad. File/Folder Sharing: Dropbox allows you to share files and folders with others via email using simple privacy and share settings. Simple: Dropbox is easy to install and manage. Free: Did I mention, Dropbox is free! Storage, syncing, sharing, security, and simplicity. What more do you need? It’s saved my life a few times! Visit Dropbox to sign up today or take the tour to find out more. Yes!! Dropbox is one of the most essential apps I can think of–only Evernote (for me) matches it. It’s also worth pointing out that 2GB is actually the *MINIMUM* amount of free storage you’ll get–Dropbox gives extra free memory space for things like tweeting about it, posting about it on Facebook, syncing it to various devices (phones, tablets), referrals, etc.–I’m well over 8GB at this point and have never paid a dime! Just so others know, Google Drive and Microsoft OneDrive basically do the same thing. If you already have an account with either Google or Microsoft, this saves you having to create a new one with Dropbox. I actually use both Google’s and Microsoft’s and I’m happy with each. Vince, good to know! Thanks for sharing. I have to second this. As a college student, Dropbox is essential for school and other files. I also posted a list of resources I recommend for students on my blog here: http://alexcwatt.com/2014-student-resource-guide/.